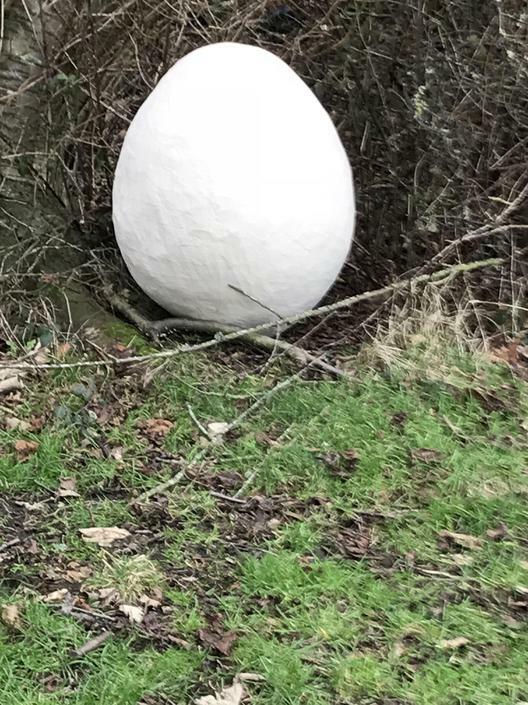 This morning a large egg was discovered on the edge of the school woods. Y2 were on their way to the woods for some outdoor learning in English and stumbled across it. 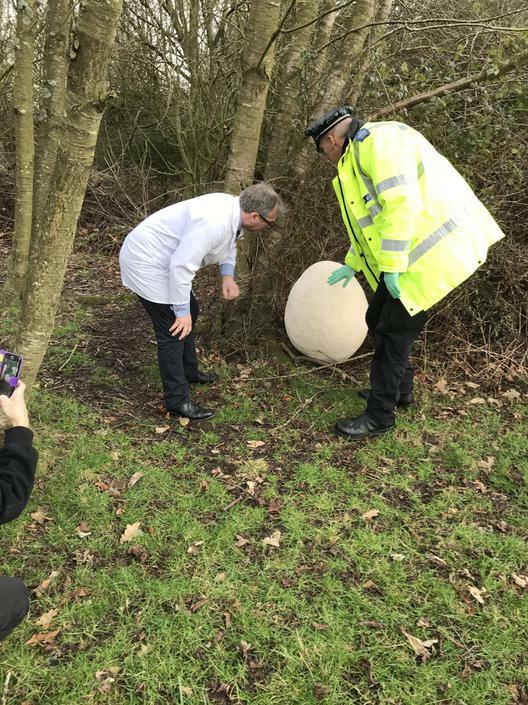 I was alerted immediately; the local police came up to school and have cordoned off the area and we were also able to get a representative from the ‘Ministry of Mysterious Objects’ to visit and look at the egg. 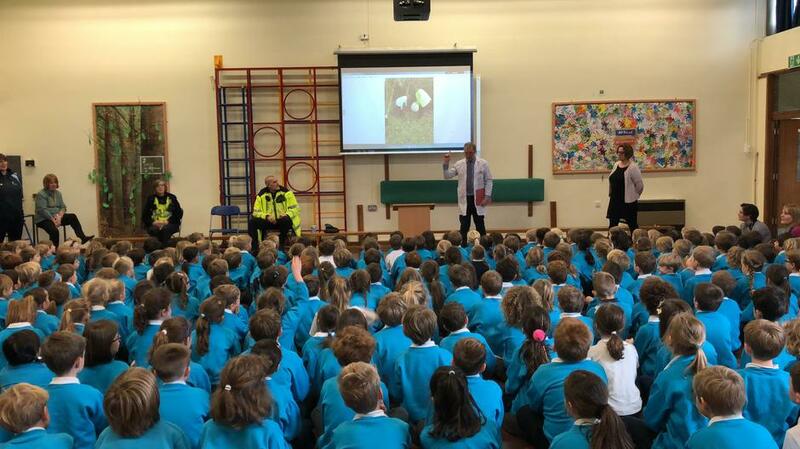 He came into a special school assembly and has reassured the children that there is nothing to be worried about and that on other occasions a similar egg has been spotted in a couple of other locations around the UK! They have also been told that they should be pleased as these eggs usually land where the parents of the egg know the children are kind and will look after the egg! 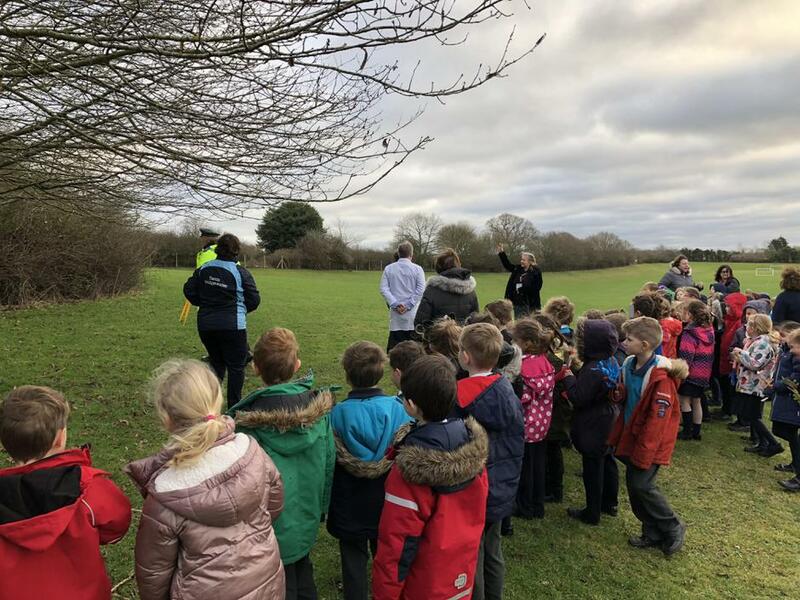 The children have also been told that with previous eggs after 3 /4 days they disappeared and so Mr Wheeler and Mr Griffiths are going to camp out overnight to make sure the egg is safe and also to see if they can spot any irregular activity. 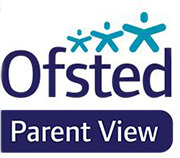 I am sure the children will keep you updated on any further events as the week unfolds.